It's good to sometimes sit still and "just be". Original collage reproduction mounted on to canvas. 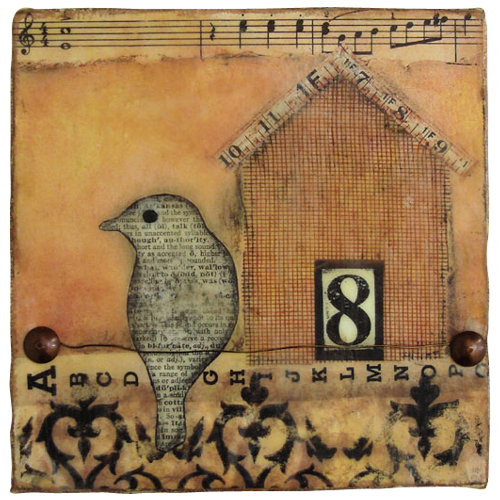 The canvas is hand finished and embellished using beeswax, hardware and wire.